The Design Sprint is an exceptionally useful instrument for creative concepting and for prototyping in very little time. You could be creating new business models, product updates, concepts for new services, or business identity improvement. Within days, you’d have a prototype. In the classic Design Sprint scenario however, the ideas and prototypes that are being developed so swiftly, might be of good quality…but not necessarily exceptional quality. We fixed this for you. Your Design Sprint PLUS provides you with a proven method and creative ways of thinking, that guarantee that you come up with a remarkable idea that is ready for the world. Take on 1 single challenge in the 1 Day SuperSprint, and enjoy speedy results. Typical results are updates business models, updated branding strategy, an online strategy scan, a revision of your website, the table of contents for your non-fiction book, and much more. Find out more projects and examples. 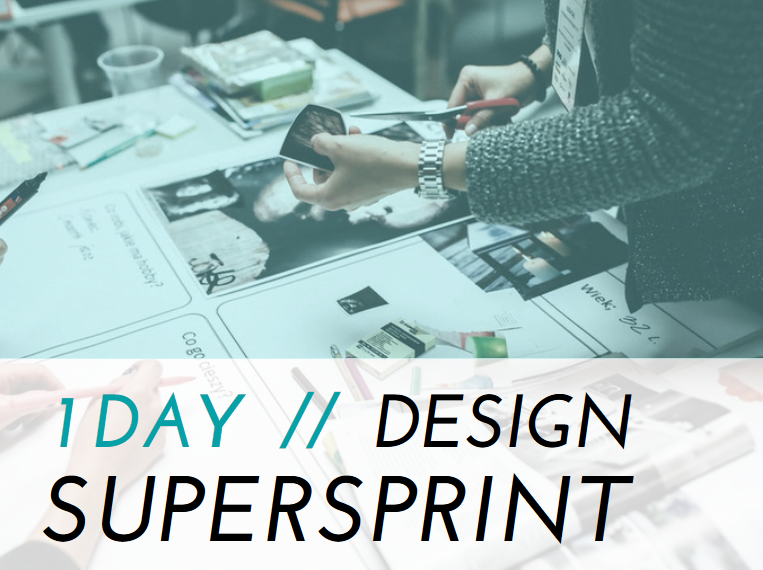 The Design Sprint Plus is an intensive workshop. It helps you develop a top notch idea that stands out from the crowd, within 3 to 5 days (which depends on your project). It helps you prototype a minimum viable, tested concept that you’re super proud of, that suits your identity and that of your team. Inspire your team, prepare for fast improvement, and book one of Jojanneke’s keynote presentations. Test (with actual people from outside your design sprint group). (In the Design Sprint 3.0, the process takes 4 days). It’s a MUCH better alternative to classic brainstorming. Classic brainstorming takes a LOT of time for everyone involved, and every (with all due respect) mediocre idea and thought that pops up, is given consideration. The mantra ‘there are no bad ideas during a brainstorm’ has helped people assert themselves in groups (which is a good thing), but it also caused precious time to vanish into oblivion in high speed tempo. Which is no bueno. So the solution of individual idea proposing, is quite helpful and solves this issue. The process helps you create a prototype. strategically and super fast. Which is great, because you’ll know if a concept is viable within days. You can determining whether or not an investment is worthwhile. Your team works more focused and towards the goal. Because of the roles that are assigned during the process. The traditional design sprint misses a crucial element, which stops the uniqueness of your idea in its tracks. This means that the design sprint still doesn’t guarantee you’ll develop a memorable, remarkable, high impact idea. 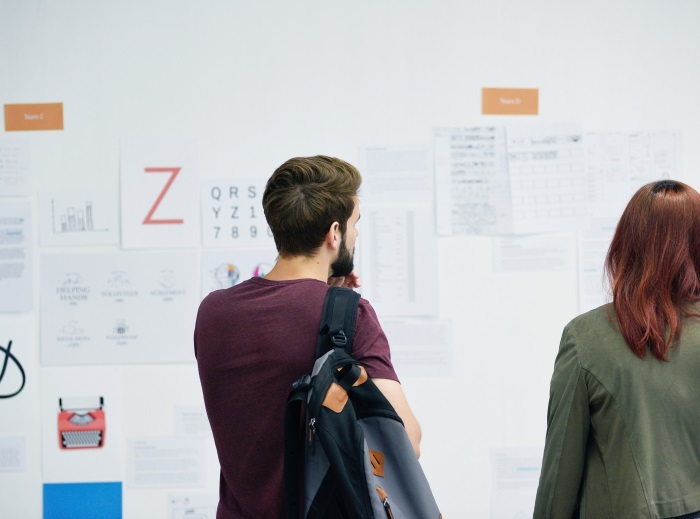 Although Design Sprints are exceptionally useful for developing a concept and a prototype in very little time, there is a essential missing link in the process. In the classic Design Sprint scenario, the ideas and prototypes that are being developed so swiftly, might be of good - but not necessarily exceptional - quality. The original process of the Design Sprint as it was developed by Google, indicates that in the phase of gathering ideas and possible solutions for the challenge that the team has taken on, the group votes for the best idea, developed by one member of the group. Team members can add to this idea, to further iterate it as a group. This approach assumes that one person - guaranteed - comes up with the single best idea possible, at that particular time. However this MAY be the case, this also ignores an crucial part of creative ideation and concept development: creating a new idea, one that goes beyond our usual individual process of ideation. Labeling a process as being a DESIGN Sprint should be about DESIGNING (a product, a process, a service, anything really). It should NOT be about trusting the single best idea that one person in the group comes up with. You can, and should, aim for the best idea possible, created using the best modalities. Creativity is THE essential 21st century skill that helps you stand out. It would eradicate anxiety of competition with other companies. Originality is precious and is always rewarderd in life and business. If you have an idea that someone else hasn’t, you’re free in doing what you want. Even IF someone would have a similar idea, they don’t have YOU. Your unique blueprint of the project will add a lot to the value of your unique prototype, and therefore, the final result of your efforts. In this prototype and final project, your identity, unique approach and best talents will be intertwined with the outcome. No competitor has that. It would provide you the freedom in setting deadlines. Nobody is breathing down your neck, except perhaps your own impatience and excitement. And this isn’t all that we fixed. THE GOOD NEWS: DEVELOPING A UNIQUE IDEA IS NOT THAT HARD. There is a myriad of creative ideation modalities. More importantly, different ways of creative thinking. Lots of them. I’m not referring to Design Thinking. That is a modality, an approach to creating a prototype in high speed. I’m referring to specific ways of thinking that open up the floodgates of creative ideas, that normally wouldn’t easily pop up in your mind. These are super valuable ways of thinking that have made me, and dozens of my students, come up with unique solutions, ideas, business ideas, speeches, apps, events, TEDx talks, books, jokes, online programs, online campaigns, and more. In Your Design Sprint Plus, we intertwine these creative ways of thinking with the existing process. This is not woo-woo. It is based on reseach, on science backed data on brain function, and on decades of experience. And that’s not all. The Art Of Resilience Is A Crucial Element Of Ideation. Resilience, the ability to bounce back from hardship. What on earth does dealing with bad stuff have to do with developing fancy, new, innovative ideas? The dynamics of resilience are extremely close related to the dynamics of creative thinking and coming up with unorthodox, sometimes quirky, freestyle solutions to great, sometimes immense, challenges. And unorthodox thinking (which exceeds ‘out of the box’ thinking, because who told you there was a box anyway? That’s right, nobody.) is extremely valuable when you want to think of a concept someone else hasn’t. I tell you this from my own experience (backed by decades of scientific reseach by renowned specialists). I had to be resilient in more than one phase in my life. For instance, the art of resilience gave me the agency to survive being an orphan at fourteen, without the safety net of family members. Resilience helped me build a better life for myself, getting myself through college, jobs, in entrepreneurship, and in life in general. The most wondrous thing about all this is, that besides discovering creative ways of thinking, hardship and resilience have given me the exact same super goldmine of resourcefulness that I’m about to share with you. In Your Design Sprint Plus. LET'S CREATE YOUR UNIQUE IDEA. Take on 1 single challenge in the 1 Day SuperSprint, and enjoy speedy results. IS YOUR PROJECT A MATCH? Four days of intensive ideation and development of your unique concept, tested and ready to develop. 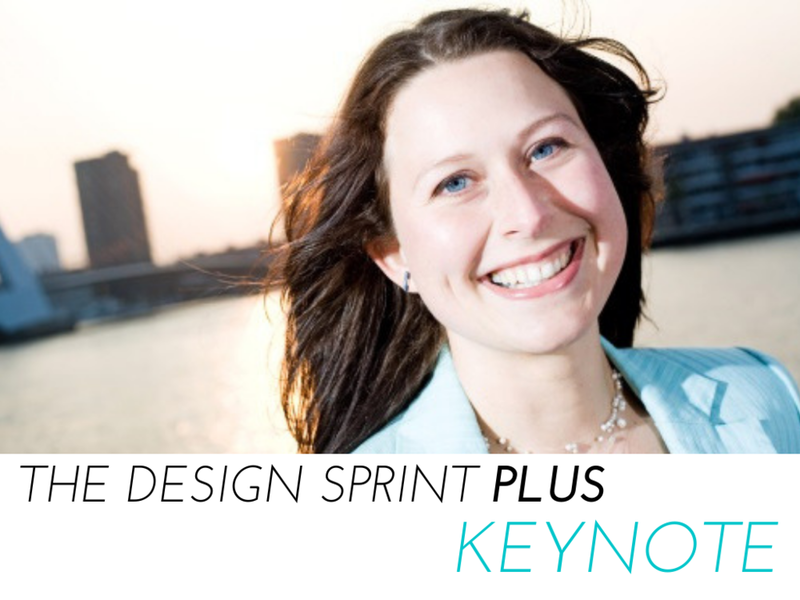 Inspire your team, prepare for fast improvement, and book one of the Design Sprint Plus Keynotes.